This book provides a new literary treatment of an often-overlooked collection of fragmentary poems from the third century B.C.E. Alexandrian poet Callimachus. Callimachus' Iambi form a collection of thirteen poems, which rework archaic Greek iambography and look forward to Roman satire and other genres, especially to such collections as Horace's Epodes. The poems are especially significant as examples of cultural memory since they are composed both as an act of commemorating earlier poetry and as a manipulation of traditional features of iambic poetry to refashion the iambic genre. This book fills a significant gap by providing the first complete translation of several of these fragmentary poems in English, along with line-by-line commentary, notes, and literary analysis. The structure of the book is thematic, with chapters focusing on such topics as poetic voice, fable, ethical criticism, and statuary. Each chapter consists of an introduction, text and selected critical apparatus, translation, and comprehensive thematic discussion. 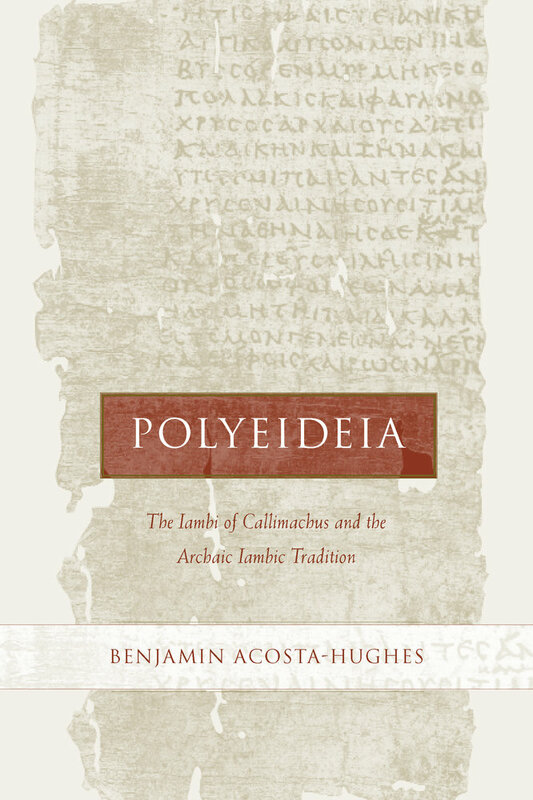 Acosta-Hughes focuses especially on Callimachus' manipulation of traditional features of archaic iambic poetry such as persona loquens, ethical and critical message, and eristic dialogue. He also includes a detailed analysis of the Alexandrian poet's artistic relationship with the earlier iambic poets Archilochus and Hipponax. Polyeideia will interest not only readers of Greek and Hellenistic poetry but also readers of Roman satire and invective verse, as well as those intrigued by the processes of memorializing and fashioning poetic culture. Benjamin Acosta-Hughes is Assistant Professor of Greek and Latin in the Classical Studies Department at the University of Michigan.